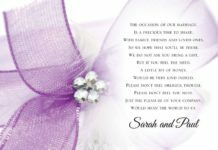 Looking for wedding stationery? These new designs are just £1! We’ve teamed up with wedding stationery specialists, The Invite Shack to show off their new collections for 2015 and bring you an amazing offer this November, all at the same time! 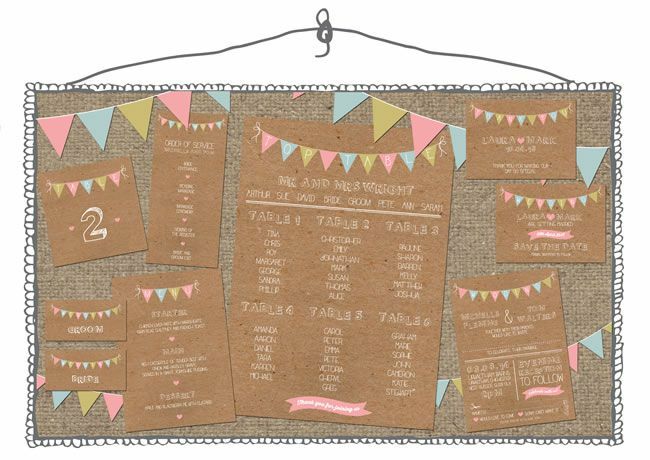 The Bunting Collection is perfect for a barn wedding or a country garden theme. Pastel coloured bunting but they can be changed to suit your particular wedding colours, or can be done in classic black and white. A really popular design that works at any time of the year! 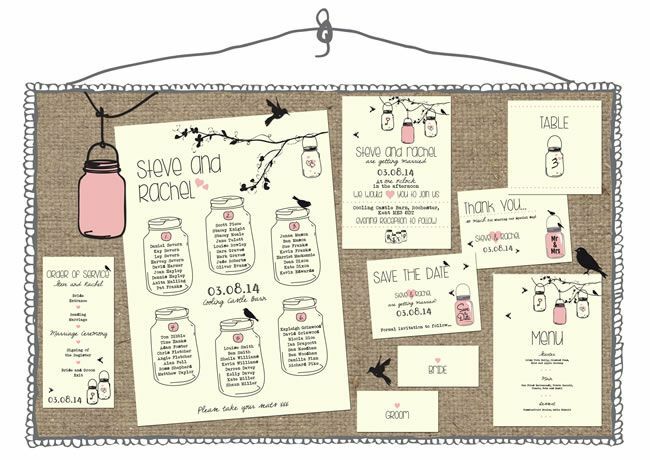 The hand drawn jam jars and birds on this design are the perfect match for a rustic wedding theme. The cream background can be changed to the rustic brown card if preferred. This is a really stunning collection with lots of class. This collection is a real retro alternative, certainly something very quirky and unique – personalised speech bubble quotes and traditional images! The bright red lips and black moustache give the designs a slight modern twist. These are perfect if you want to send out invitations that stand out from the rest. An up and coming theme for today’s modern brides – whether you’re festival lovers, love a party in the park, or want to add some funfair fun to your day, this is the collection for you! These colourful invites can be adapted to suit your own colour scheme for a really personal look. 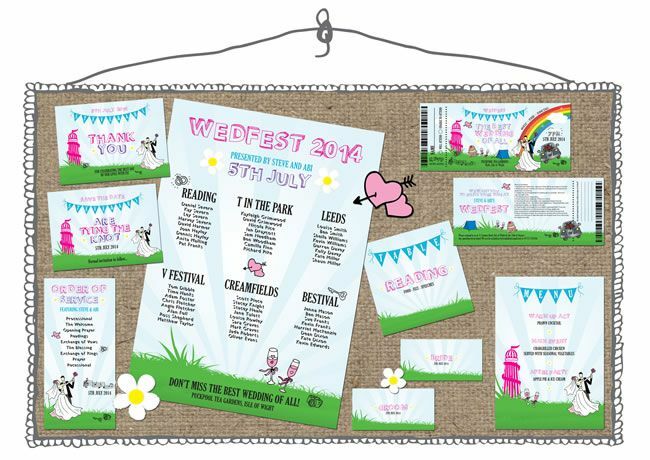 The Invite Shack can also offer drinks vouchers, festival swing tags and so on to really fit in with the wedfest approach. 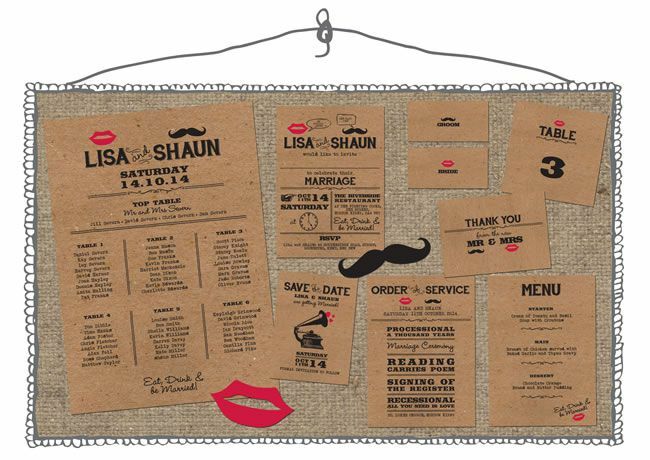 Detachable perforated RSVPs – a nice realistic touch! 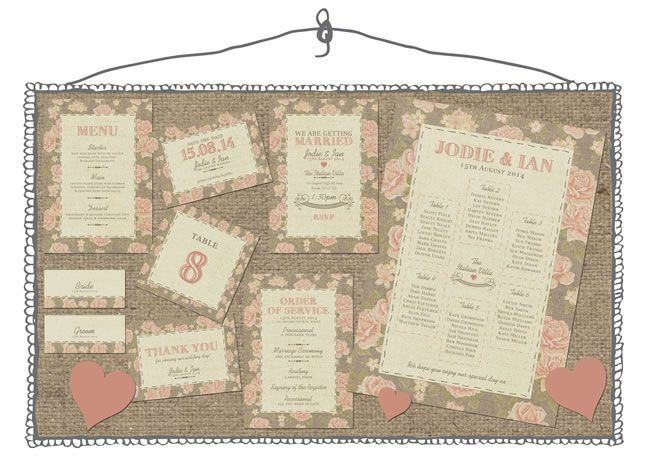 100% vintage, this pretty rose print boasts a hessian textured look and hand drawn stitching. These are absolutely gorgeous and the perfect way to set the vintage tone to your guests. 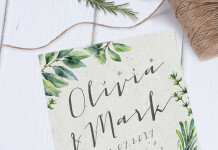 The Invite Shack has had many brides comment on the design of their website and say how much they love it, so now they’ve made a collection purely designed around that theme! 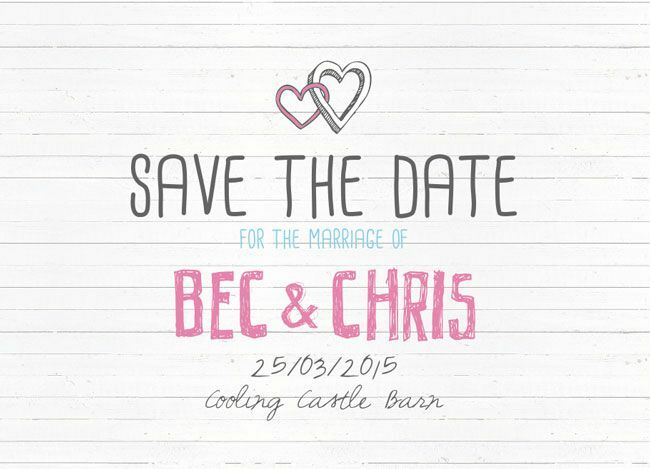 Check out these new save the dates, for example. They can also be made as magnets and slapped on the fridge. Love these designs? Until the end of November 2014, they’re just £1 each! 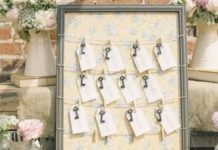 All you need to do is quote ‘Wedding Ideas Promo’ when ordering at inviteshack.com. Plus, don’t miss out on their other great offers happening all over the festive season – you can keep up to date with their latest quirky goods on their Facebook and Twitter. And have you checked out our wedding competitions? Next articleRomance isn’t dead thanks to new romance-planning agency!